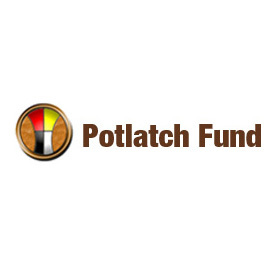 The Potlatch Fund is a grantmaking foundation and leadership development organization serving Washington, Idaho, Oregon and Western Montana. Potlatch’s mission is to inspire the Native tradition of giving in Northwest Indian Country to promote economic development, natural resource protection, education, cultural preservation, civic participation, and the overall health of Native people and their communities. Tribal leaders founded Potlatch in December 2002 to inspire and build upon the Native American tradition of giving in Northwest Indian Country. Potlatch provides culturally appropriate leadership development training and technical assistance to build the capacity of grantmakers, tribes, Native American groups, and other Native American grantseekers. 2005: Channel made a grant to support Potlatch Fund’s development, growth and public education efforts as well as outreach projects to tribal communities to help assess and communicate their cultural perspectives, issues and needs. 2004: Channel made a grant to support the Potlatch Fund via the fiscal sponsorship of the Applied Research Center (now Race Forward). Please note that the Channel Foundation does not accept unsolicited proposals. New proposals are considered by invitation only. Follow our YouTube channel for the latest updates on all of our current grantees. ©2018 Channel Foundation. All photos courtesy of the Channel Foundation and our partners unless otherwise stated.